In keeping with lagom’s not-too-much-not-too-little approach to life, edit your room’s palette to include just a few key colours. Families of neutrals that work harmoniously together without feeling cold or clinical are wonderful for creating a simple yet elegant scheme. 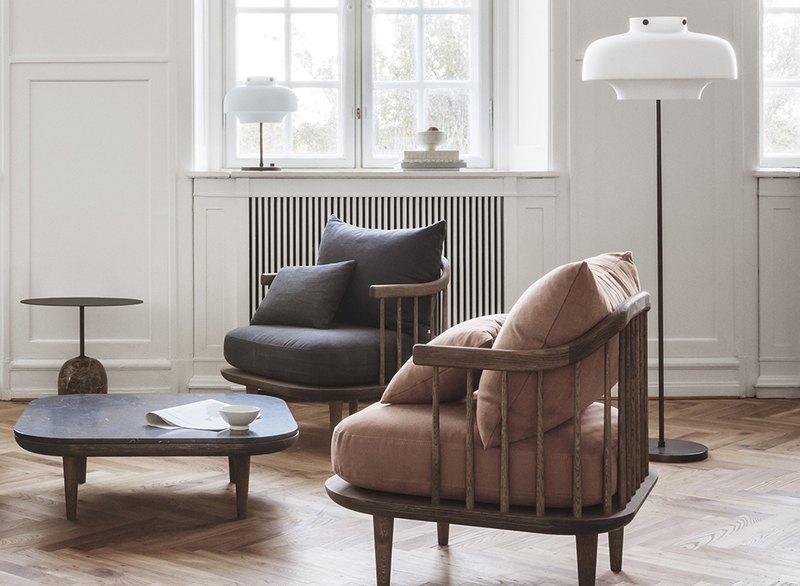 We love Muuto’s gorgeous neutral groups which allow you to keep your palette simple while bringing in a variety of tones that will change the overall feeling of the space. 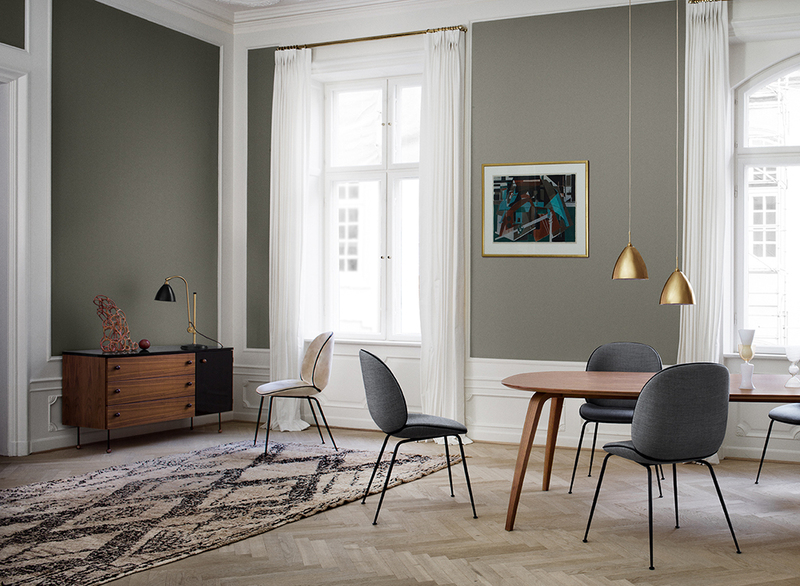 From warm red-based shades to contemporary soft greys, a neutral palette doesn’t mean you are confined to using just one shade throughout, look to Scandinavian design for more inspiration on using stripped back colour schemes that feel anything but dull. 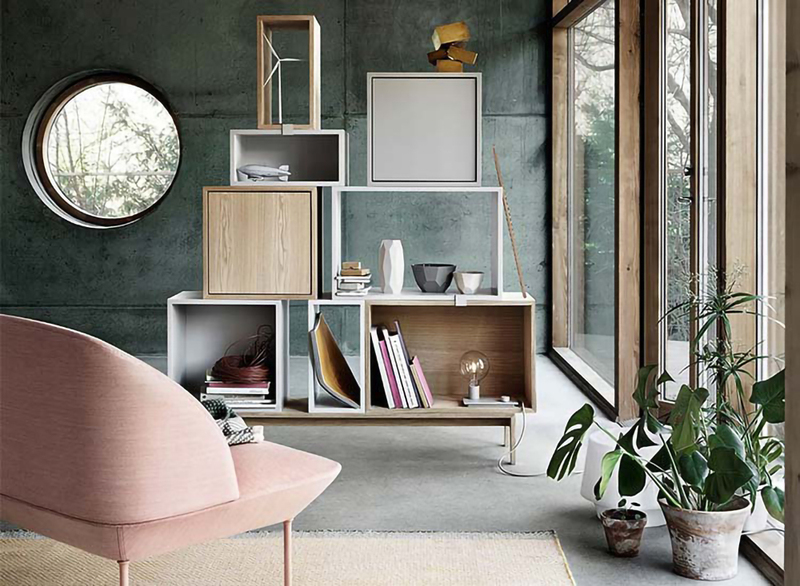 In order to create the interior balance that is essential to lagom living, it is important to consider the purpose of the room and the shapes that appear within it. Creating balance in a space is much more than just the aesthetics of the room, is also incorporates the way that the room flows and how it supports the way that you use it. If you like to read in a certain chair, is the space adequately lit? Is it easy to place your cup on a surface from where you sit? Can you comfortably move around the room without having to squeeze past furnishings? Meeting needs such as these, without overcomplicating the design is an important component of lagom interiors – take a practical approach to the design process for a space that offers everything you need. More than just one of 2019’s design trends, lagom inspires us to make things less complicated and allow the natural beauty of materials and artisan craftsmanship to shine. Understatement is key so look to simple shapes that offer maximum impact with minimal fuss. Celebrate the grace of woven natural materials, of tried and tested classics, the warmth of raw oak and the purity of soft cotton rather than looking to luxe upholstery and decadent detailing to add style to a space. 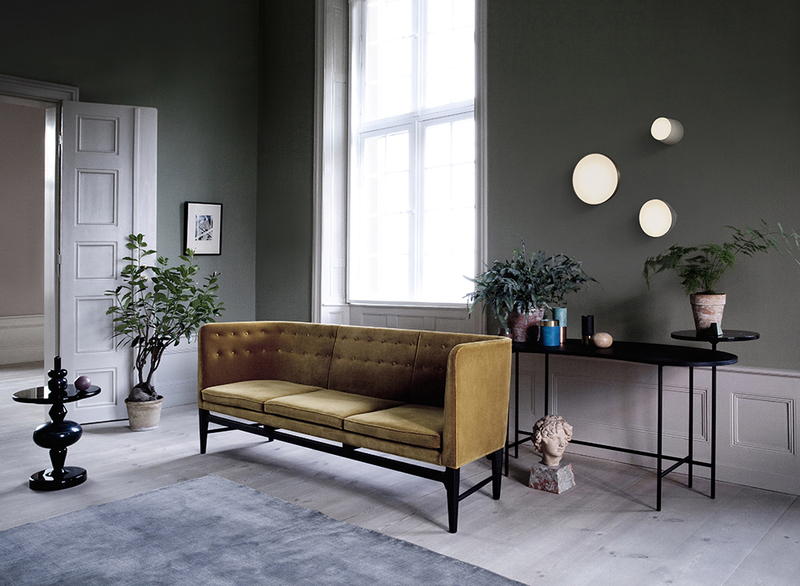 The lagom inspired look doesn’t need to be entirely devoid of decorative accents but the key is to edit and curate your pieces until only the best bits are left. Natural greenery, sculptural ceramics and delicate glassware are perfect complements and create harmony between bareness and clutter. Plantlife is perfectly aligned with the lagom outlook owing to its sustainability and natural beauty, look to lush leafy plants such as aspidistra and Chinese evergreens for maximum impact. Given that lagom encourages us to live a simpler, more disciplined life, it is also important to choose home accessories that you truly love and that will stand the test of time. Rather than selecting pieces that will only survive a single season, look to classic shapes and elegant materials that you will want to display and look at forever.